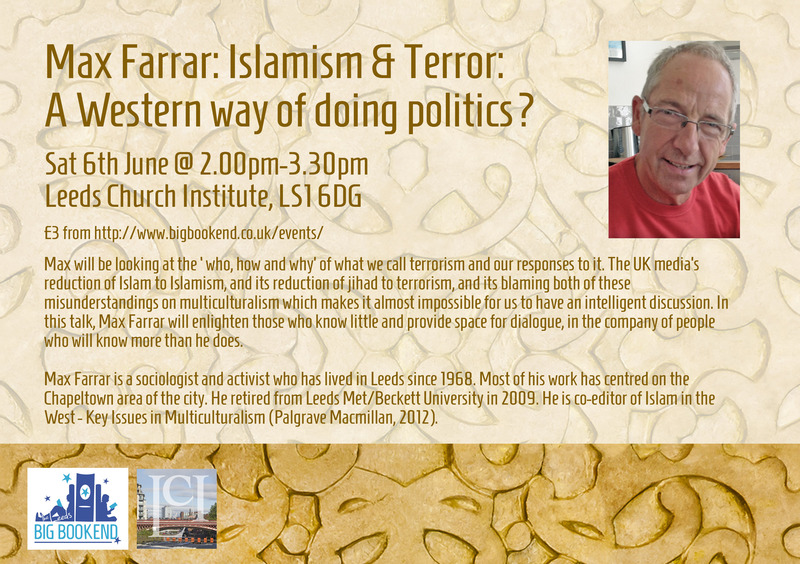 Max Farrar: Islamism & Terror: A Western way of doing Politics? Max will be looking at the ‘who, how and why’ of what we call terrorism and our responses to it. The UK media’s reduction of Islam to Islamism, and its reduction of jihad to terrorism, and its blaming both of these misunderstandings on multiculturalism which makes it almost impossible for us to have an intelligent discussion. In this talk, Max Farrar will enlighten those who know little and provide space for dialogue, in the company of people who will know more than he does. Supporting speaker to be confirmed.